One of Europe's most colourful and splendid butterflies. 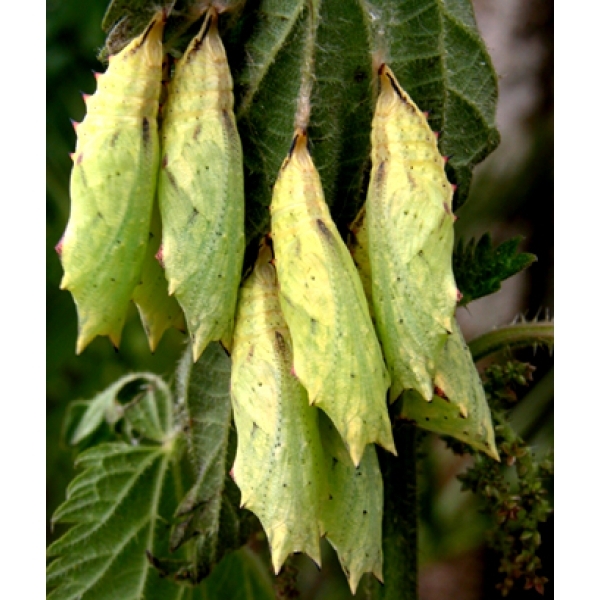 The pupae hatch within about 2 weeks. 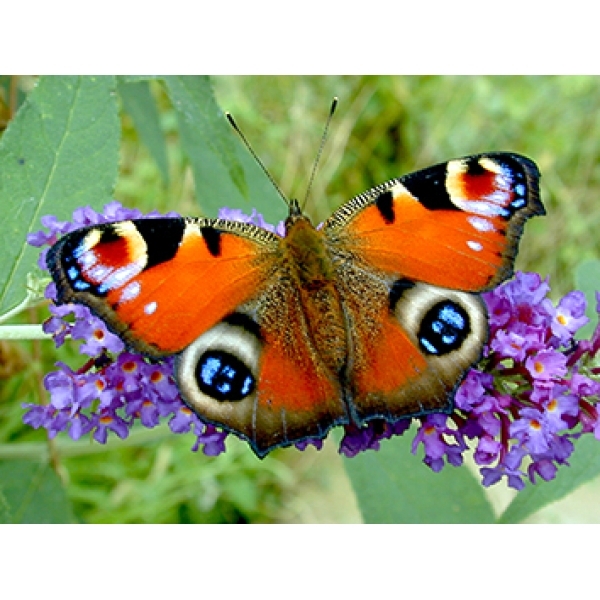 The butterflies can be kept for a few days in a cage with flowers for nectar, then released into the wild. 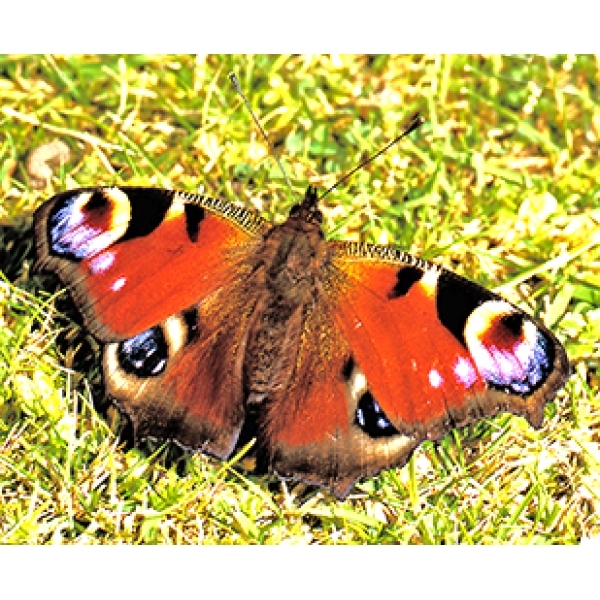 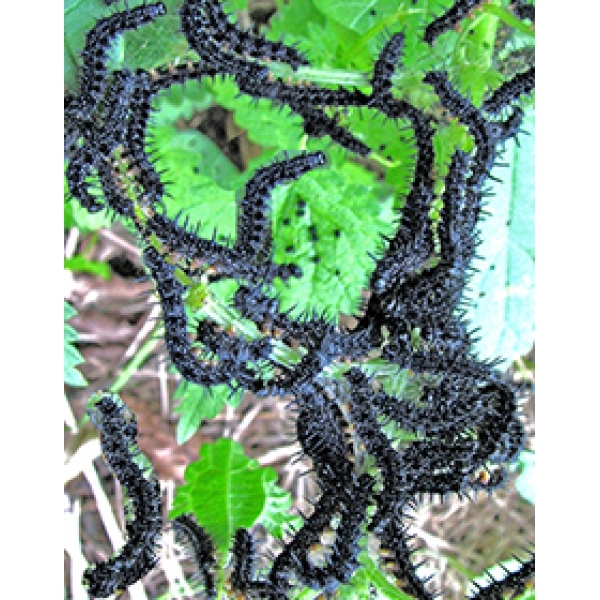 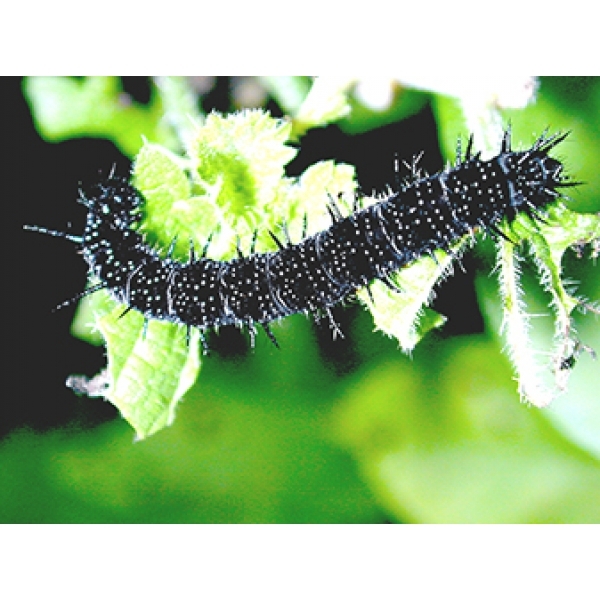 The mild winters waken hibernating butterflies at a time when there is no nectar and many Peacocks and Small Tortoiseshells perish, making them now quite scarce. 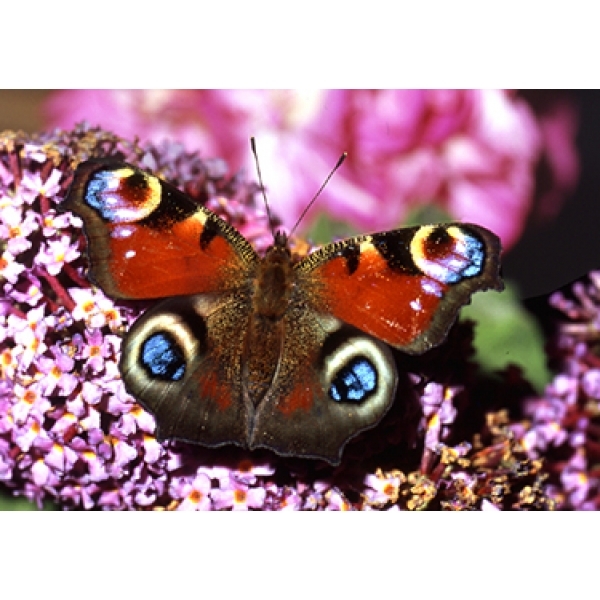 You can help boost your local population by hatching and releasing these Peacock butterflies.